Referencing a Summer’s day in Washington D.C., 1984. Stepney Workers Club presents its Spring/Summer 2019 collection, seeing a multitude of materials take on its signature Dellow silhouette. Drawing inspiration from a rainstorm experience in Paris, the collection delivers a number of cosy colorways and fabrics for SS19. SWC found themselves inside a photography shop in the centre of Paris amidst a torrential downpour and spotted images that captured the height of summer in 1984, Washington D.C. 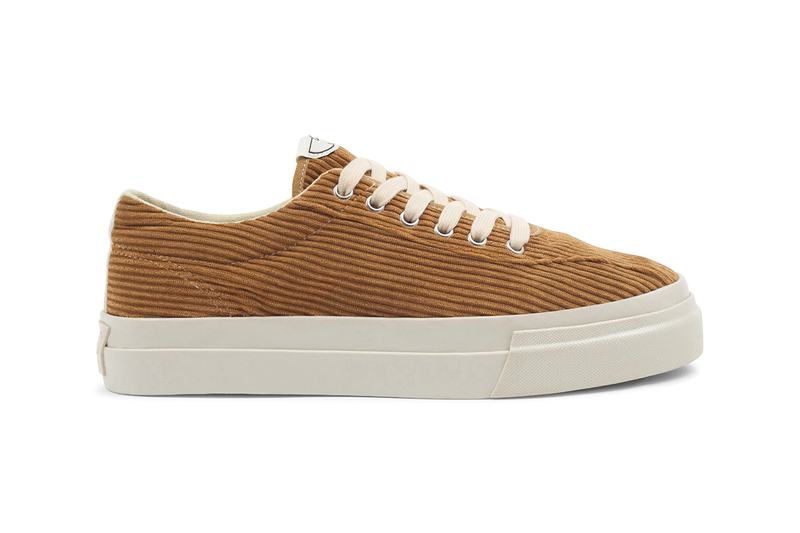 Drawing inspiration from this experience, SWC applied saturated summery suedes, muted canvas hues, classic summer sporting references and chunky corduroy inspired by the wooden fence housing the summer scene in Washington D.C. The ’80s sports theme is most visible in the tennis-themed “White/Green” Dellow canvas, whereas textures from the great outdoors are referenced on the oversized corduroy pairs. Arguably the standout pair in the SS19 line up is a tan suede pair. Sitting atop the Dellow’s clean white vulcanized sole unit, the tan suede offering is Stepney Workers Club’s most versatile and sophisticated pair for SS19. Check out the entire collection above, and head to stepneyworkersclub.com to shop them all now. For more clean summer kicks, check out the New Balance 997 “Mint Julep” for SS19.